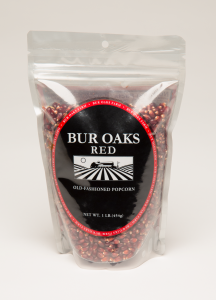 Our Red Popcorn is a wonderful, old fashioned variety that isn't commonly grown. It doesn't yield as well as many modern varieties, nor does it pop as large as some. However, people are always drawn to its rich red color. 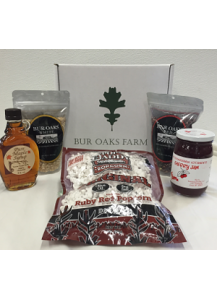 The real reason to pop Bur Oaks Red Corn, though, is its more flavorful taste, and its exceedingly tender texture. Its easy to pop the old fashioned way, or in a microwaveable bowl. 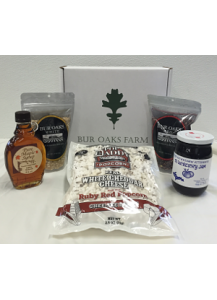 We produce limited quantities of this extremely tender popcorn. 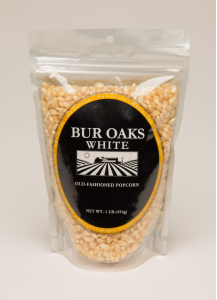 We think it is the best eating white popcorn around. It is fragile, and we use none of the insecticides commonly employed to preserve popcorn, so keep it in the refrigerator when you get it.